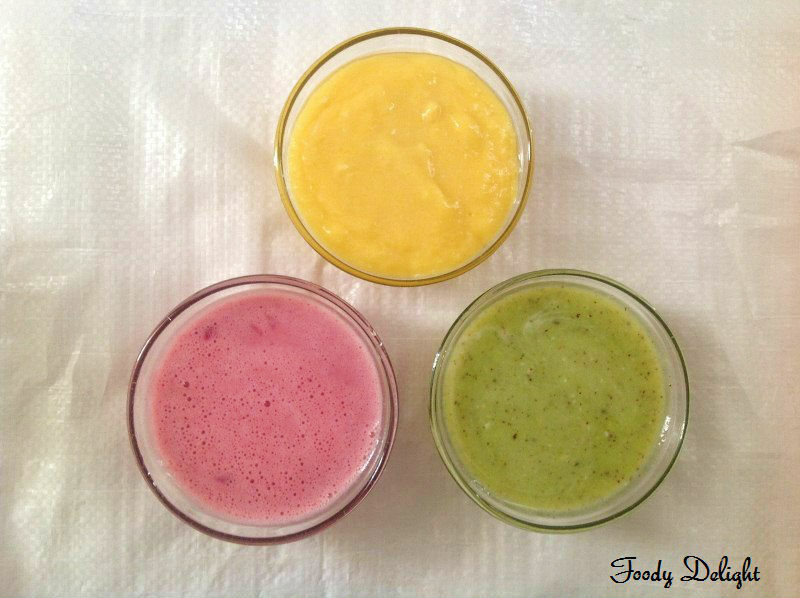 Today I am posting the recipe to show my friendz these beautiful colours of lassi. However Lassi is very common drink and also everybody enjoy it. I had some amount of lassi in my refrigerator and came up with little fun type idea and converted it into Tri colour and tri flavour Lassi. The colours came out so beautiful, did not stop me to post this beautiful recipe. Without talking much, I will start the recipe. Divide the plain lassi into 3 portions. Mix 2 tbsp of strawberry puree, 2 tbsp of mango puree and kiwi puree. Mix well. As shown in above image. Take a tall glass and first pour the strawberry lassi. 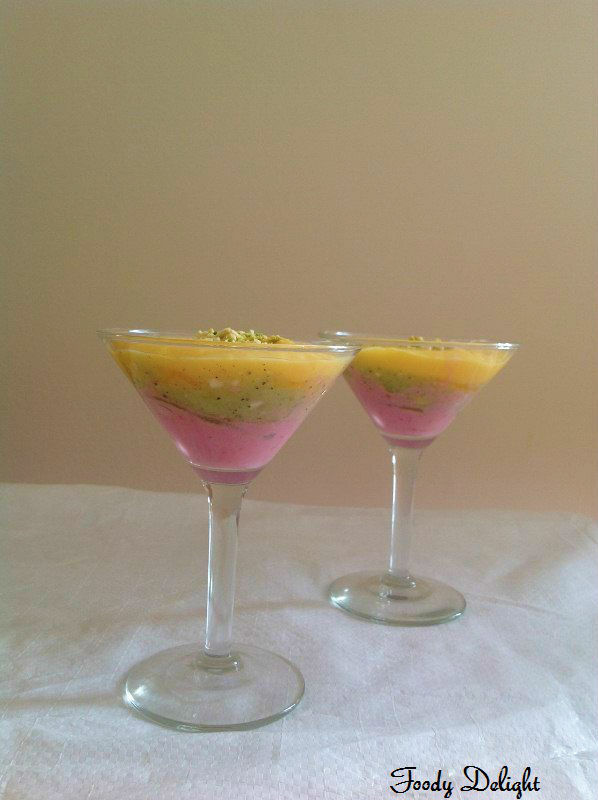 Then place slices of strawberry over it and then pour a little of the kiwi lassi. 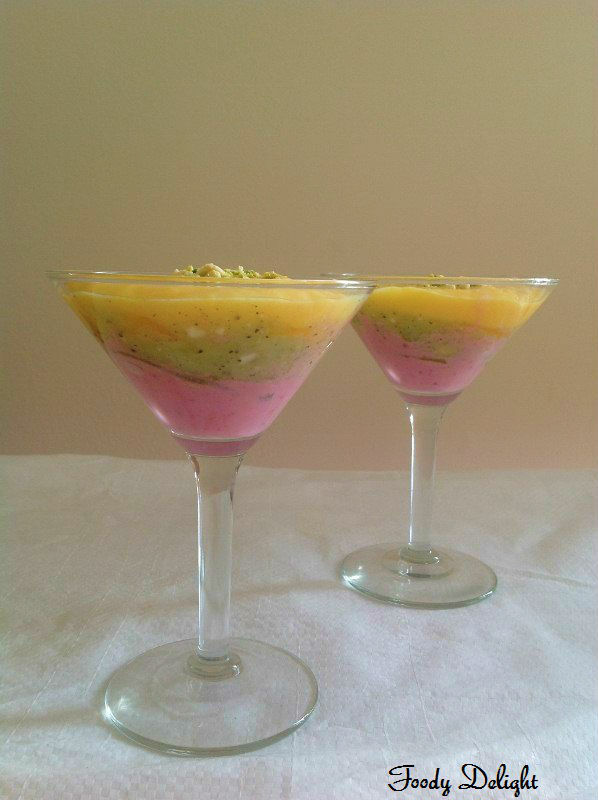 Then place the slices of kiwi over it .Finally pour mango lassi and serve immediately. Very consistent, great flavor and makes a great simple Lassi equipped with Tri flavors. Lovely colour combination, beautiful lassi. very tempting... i m drooling over here..